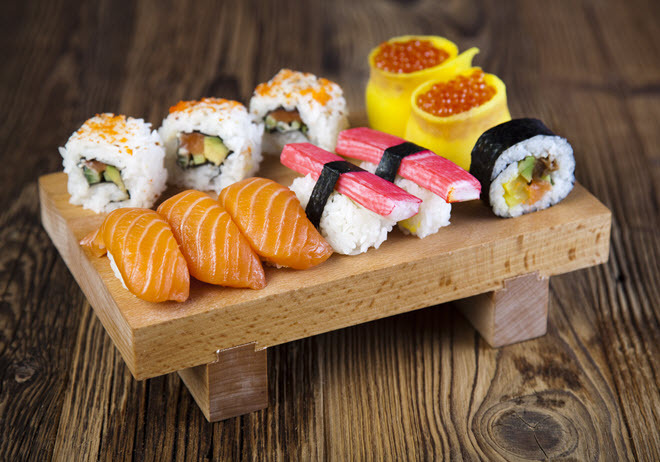 Japanese cuisine has blossomed in popularity in the U.S. Think about it: just a few years ago you would only find sushi in a major metropolitan area. Now, you can pick up some sushi with a weekly trip to the grocery store, some of it very good. With this spike in popularity comes a huge demand for well-trained cooks and chefs experienced with traditional Japanese dishes, authentic ingredients, presentation methods, samurai-like kitchen knife skills and how to choose, buy and store all the freshest ingredients you could need. When you set out to choose a school make sure you have clearly drawn out your educational and career goals. Why? Each school offers a unique opportunity to learn something slightly unique and from a chef/instructor that may have unique skills with Japanese cuisine, as well. Do you have a skill that requires honing in the Japanese school? Want/need to learn sushi making? Looking for inspiration for your chef career? Need a casual class or an intensive immersion lasting maybe a week or more? Need to attend in the U.S. or are you interested in going abroad, even making a cooking/vacation of the experience? Are you looking for a stripped down cooking class or a school that combines cultural lessons, as well? Each of these questions should lead you closer to choosing a school that matches your desires. What is clear is that the best way to expand your culinary repertoire is via a special cooking school. Learn under the guidance of real Japanese chef and you gain and edge your peers just cannot leverage without a similar investment. Japanese cuisine is very unique and the nuances are best learned first hand. For this very reason professional chefs that specialize in Japanese cuisine often physically travel to Japan for the immersion in the culture and regional flavors of a place that cannot be duplicated elsewhere. California Sushi Academy specializes in training you to be a highly experienced sushi chef. The school offers two levels of intensity—day courses and professional courses. If you’re training to be a chef, a Japanese cook, sushi chef, or trying to expand your current menu or professional repertoire, then check out the pro courses. Skills include knife skills, choosing and buying fish for sushi, rice making, making and presenting the traditional sushi rolls, sashimi and nigiri. The professional sushi course is designed to be a certification. Interested in a super-intensive culinary experience on site in Tokyo or Osaka Japan? A Taste of Culture cooking school, led by Japanese culinary expert Elizabeth Andoh, is one of the more widely talked about, and receives consistently great reviews for attention to detail and comprehensive exploration of Japanese cuisine and cooking. The classes are delivered in English for English-speaking visitors/tourists/culinary professionals.